My wonderful sister and her hubby sent us a super awesome Christmas gift this year!! 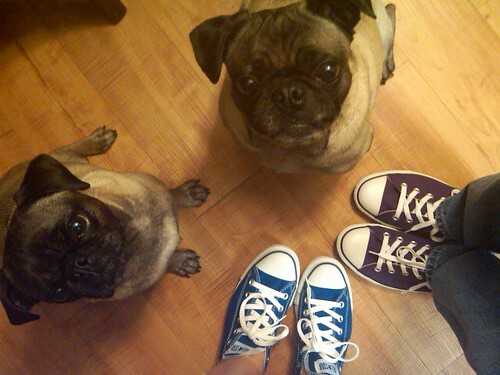 We got Chucks!! My very first pair, ever! AND the best part?! They're in our favorite colors!! LOVE THEM! Thanks Phu & Craig! !